Dr. Sai Babu Jonnada is a fully trained British Consultant Clinical Oncologist. Until joining Al Zahra Hospital Sharjah, Dr. Sai was working as consultant oncologist at Gloucestershire Hospitals, UK. Certificate of Completion of Training (CCT) in Clinical Oncology, UK (2015). Membership of Royal College of Physicians (MRCP), UK (2009). Dr. Sai has experience of treating hundreds of patients with various cancers. He has 16 years of work experience as a physician. After his graduation he relocated to UK for his post graduated training. He was trained in several prestigious hospitals in south west of England and Wales, including Oxford and Cardiff. While pursuing his specialty training as Oncologist, he worked at Belfast City Hospital (Queen’s University) Belfast, Northern Ireland. Dr. Sai is a clinical oncologist by training and profession which means he is both a medical oncologist as well as a radiation oncologist. This puts him at an advantage of treating patients with either chemotherapy or radiotherapy or both that will benefit the patient most. This is a recognized specialty training that happens in UK. He is experienced in all forms of chemotherapy. His special interests are immunotherapy and biological therapies that has shown to have better outcomes in treating cancer with less side effects compared to conventional chemotherapy. 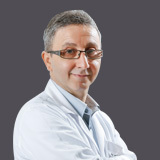 He has vast experience in latest radiotherapy techniques like Intensity modulated radiotherapy (IMRT), image guided radiotherapy (IGRT), volumetric modulated arc therapy (VMAT), RapidArc®, TomoTherapy®. 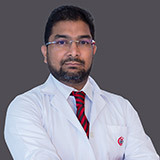 Dr. Sai has been a named author in various international abstracts and publications like “Sector analysis provides additional spatial information on the permanent prostate brachytherapy learning curve”- Mohamed Yoosuf AB, Mitchell DM, Workman G, Jonnada S, Napier E, Jain S.
Dr. Sai is very active in teaching and presentations and participated in webinars on international platforms (ASCO webinar 2016; Janssen). He was a clinical supervisor mentoring oncology and medical post graduate trainees in UK. He completed his training modules to be an educational supervisor.